Marc A. Rosen is a Professor of Mechanical Engineering at the University of Ontario Institute of Technology in Oshawa, Canada, where he served as founding Dean of the Faculty of Engineering and Applied Science from 2002 to 2008. Dr. Rosen was President of the Engineering Institute of Canada from 2008 to 2010, and President of the Canadian Society for Mechanical Engineering from 2002 to 2004. He is a registered Professional Engineer in Ontario, and has served in many professional capacities, e.g., as a member of the Board of Directors of Oshawa Power and Utilities Corporation. He serves on the editorial boards of several technical journals and as an advisory member of several leading international conferences. With over 70 research grants and contracts and 600 technical publications, Dr. Rosen is an active teacher and researcher in thermodynamics, energy technology (including cogeneration, trigeneration, district energy, thermal storage, renewable energy, and hydrogen technologies), sustainable energy and the environmental impact of energy and industrial systems. Much of his research has been carried out for industry. Dr. Rosen has worked for such organizations as Imatra Power Company in Finland, Argonne National Laboratory near Chicago, and the Institute for Hydrogen Systems near Toronto. He was also a professor in the Department of Mechanical, Aerospace and Industrial Engineering at Ryerson University in Toronto, Canada for 16 years. 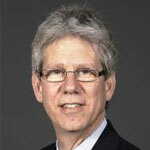 While there, Dr. Rosen served as department Chair and Director of the School of Aerospace Engineering. Dr. Rosen has received numerous awards and honours, including an Award of Excellence in Research and Technology Development from the Ontario Ministry of Environment and Energy, the Engineering Institute of Canada's Smith Medal for achievement in the development of Canada, and the Canadian Society for Mechanical Engineering's Angus Medal for outstanding contributions to the management and practice of mechanical engineering. He received a distinguished scholar award from Ryerson University and a Mid-Career Award from University of Toronto. He is a Fellow of the Engineering Institute of Canada, the Canadian Academy of Engineering, the Canadian Society for Mechanical Engineering, the American Society of Mechanical Engineers and the International Energy Foundation. Dr. Rosen obtained a B.A.Sc. (1981) in Engineering Science, and a M.A.Sc. (1983) and Ph.D. (1987) in Mechanical Engineering, all from the University of Toronto.